FROM INITIAL CONCEPT TO FINAL PRODUCT WE FOLLOW THE PRODUCTION PROCESS IN OUR COMPANY. Specialized in the design and production of medical electronic equipment, all the activities of LED SpA are carried out in its laboratories spread over a surface of 3500 square metres. 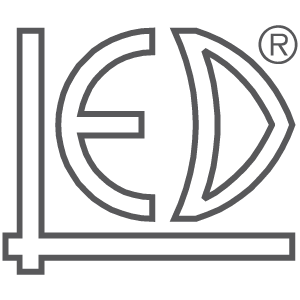 Founded by Aldo Mauti in 1982 in Rome, initially the production of LED SpA was mainly focused on creating electrosurgical and some equipment for physiotherapy. The market was limited to Italy. LED territory has reached a broad consensus in the field using innovative processing methods, but always linked to the Italian tradition. -High frequency electro-surgical equipment including models able to supply an output power from 50W to 400W for applications using monopolar or bipolar methods, simultaneous or alternative supplier duct and emission of continuous or cycle timer power. A spread out IT management network is used in all the activities in order to make them highly reproducible, reliable and secure. Planning activity of electronic circuits and their production, both hardware and software, is made with the aid of CAD and CAE. The most updated elements selected are used in the planning stage and their quality are guaranteed through a careful qualification of the components and their suppliers. The electronic circuits are planned to be made through components assembled on the top, mounted through automatic machines and assuring the maximum reliability and the restraining of the production cost. Each production portion undergoes to many control and testing levels, including the used components’ acceptance test, the intermediate testing and the following three final tests: functionality control, acceptance test and quality test. High frequency electrosurgical equipment models capable to deliver output power from 50 W up to 400W for monopolar or bipolar modalities applications. Equipment for medical electrophysiotherapy including generator of current at low and medium frequency, ultrasounds, pulsed magnetic fields, laser light, diathermy, etc. Equipment for medical aesthetic such as electrostimulators, lymphatic drainage, ultrasounds, as well as other products suitable for hair removal and body contouring. Equipment for the care and wellness of your body at home.